Two states will have a bit more to celebrate during this holiday season. 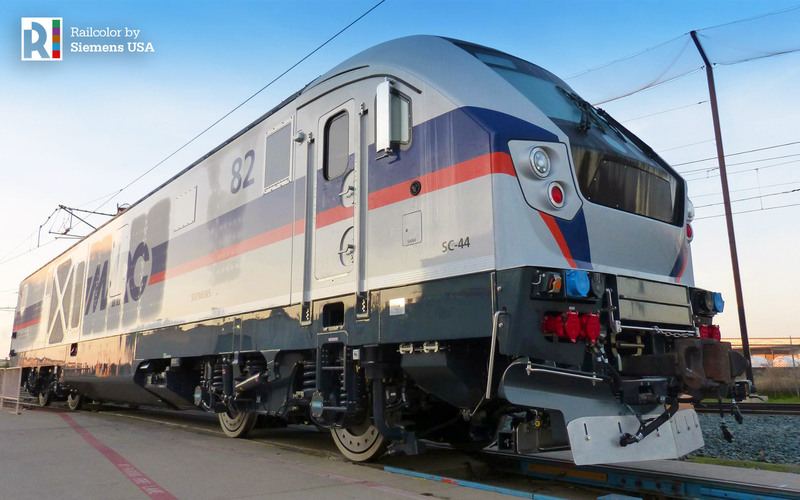 I am pleased to say that Siemens has shipped the first advanced technology locomotives for Maryland Department of Transportation Maryland Transit Administration’s (MDOT MTA) MARC Train and Southeastern Pennsylvania Transportation Authority (SEPTA). The new locomotives will enter service in 2018. 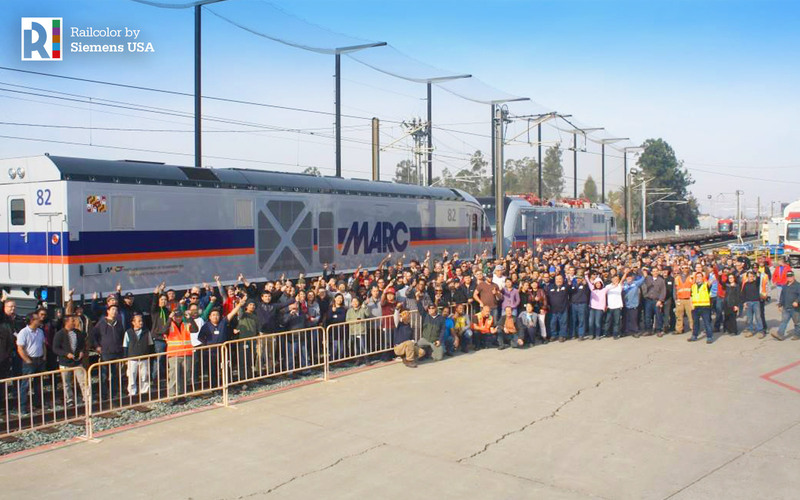 MARC received the first three of eight Charger diesel-electric locomotives. 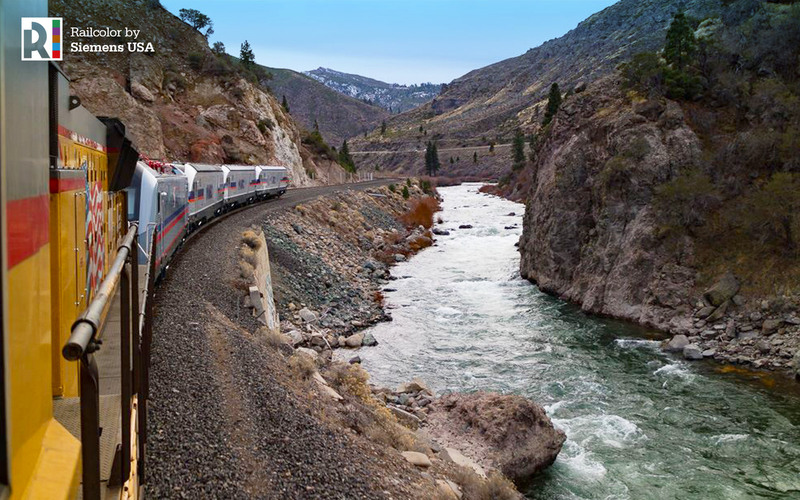 The Siemens Chargers are among the nation’s cleanest and are the first high-speed passenger locomotive to receive Tier 4 emissions certification from the Federal Railroad Administration (FRA). With the environmentally-friendly Cummins-built diesel engine, the locomotives reduce emissions by nearly 90% compared to Tier 0 locomotives. In Pennsylvania, the first of 15 ACS-64 electric locomotives for SEPTA was delivered; the technology is similar to the locomotives currently operating and reducing travel times on the Northeast and Keystone Corridors for Amtrak. The locomotives are more efficient than their predecessor and will enable Philadelphia to increase its capacity. Built at Siemens’ Sacramento, California rail manufacturing hub, which has been in operation for nearly 30 years and employs more than 1,200 people, the locomotives were sent-off by many of those employees seeing them off on their cross-country journey. Department of Transportation Maryland Transit Administration’s will replace older locomotives with the new Charger diesel-electric locomotives, which will improve the reliability and efficiency of MARC for thousands of commuters and tourists. The Charger can operate at speeds up to 125 miles per hour and is powered by a 4,400 horsepower Cummins diesel engine. The new high-speed diesel-electric locomotives will help operators achieve cost savings by reducing trip times, while improving reliability and efficiency for its passenger rail service. Maryland is the latest state that will bring its passengers these benefits. California, Illinois, Iowa, Michigan, Missouri, Oregon, Washington and Wisconsin also have Siemens Chargers in operation. SEPTA is also using the new electric locomotives to replace an aging fleet as it seeks to expand capacity and provide more efficient and reliable service as part of the Building the Future program. The new locomotives are designed for improved reliability and easier maintenance to provide faster turn-around and increased availability for service. The similar locomotives operating on the Northeast Corridor have brought enhanced transportation benefits to riders, reducing delay incidents by 25 percent and reducing delay times by 30 percent. As the locomotives are delivered this holiday season, I look forward to seeing them go into service in 2018. The benefits that they will bring to passengers in Baltimore and Philadelphia are certainly something to look forward to in the New Year.